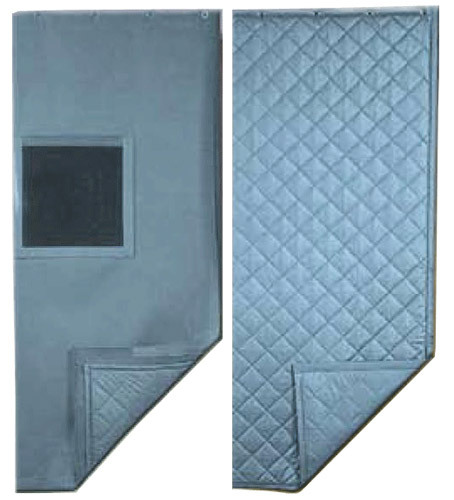 Sound absorptive quilted faced fiberglass on one side of reinforced noise barrier material. 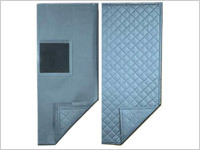 Reinforced barrier back offers excellent durability and abuse resistance. Utilized as sliding doors and acoustical curtain enclosures. Custom fabricated for "acoustical jackets" on blowers, fans or compressor housings.